The presence of coyotes (Canis latrans) on urban and suburban landscapes is neither surprising nor necessarily cause for concern. Coyotes are highly adaptive members of the dog family and have demonstrated an ability to survive in the most urbanized environments in cities across North America. Most urban coyotes go about their lives without ever raising awareness of their presence among their human neighbors; however, coyote sightings are becoming more common in urban areas across the U.S., including in the Omaha metro area. Coyotes are at home in a variety of habitat types and will den in burrows, under downed trees, and in thick brambles and culverts. While coyotes are most active between dusk and dawn, they can be seen at any time of the day. Generally shy and wary of humans, they can also be quite curious and will often observe human activity from what they perceive to be a safe distance. 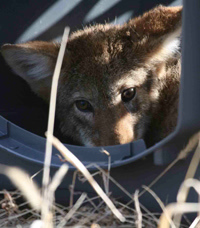 They will protect active dens from predators including other coyotes and dogs. Their primary diet is made up of small rodents, but coyotes are opportunistic and will consume a vast array of foods including birds and insects, fruit and vegetables, human garbage and compost, outdoor pet food and small free-roaming pets, including cats and small dogs. This handout summarizes practical tips for living in harmony with urban coyotes. Always keep your pets on a leash or in a coyote-proof fence when inside. Never deliberately feed a coyote or other wild animal. Remove fallen fruit from your yard. Eliminate opportunities for rabbits, rats, and mice to breed in and around your yard. Be a responsible pet owner. Keep house pets indoors and allow only controlled access to the outdoors. Always keep pets in from dusk to dawn when coyotes are most active. To prevent coyotes from entering your yard, consider removing unnecessary brush, installing a motion-sensitive lighting system, or installing a coyote-proof fence. To be effective, fences must be at least 6 feet tall, have no openings greater than four inches, and should be flush with the ground. If you do not want coyotes around your home, let them know that they are not welcome. “Haze” them by shouting, making loud noises, and waving your arms. Given all of the dangers for free-ranging pets outside, including cars, would-be thieves, neighbors who do not want pets on their property, wildlife, parasites, and diseases, it is imperative that you be a responsible pet owner and keep your pets under your control at all times. When outside with your pets, always keep them on a leash or inside a coyote-proof fence. Keep cats inside. Keeping cats indoors protects them from disease, parasites, and danger, and greatly lengthens their life expectancy. Keep your dogs inside at night. Allow only controlled access to the outdoors (fenced yards and leashes). Ensure that your pets are up-to-date on vaccines and parasite prevention. 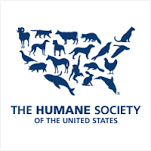 Spay and neuter your pets to keep coyotes and other dogs from approaching. Chickens are very vulnerable to predators, including wildlife and domestic pets. A few easy steps can help protect your chickens, and make it less likely that they will be killed by predators. Know that free-range chickens will always be susceptible to predation including by wildlife such as coyotes, foxes, raccoons, and hawks, and by neighborhood pets like dogs and cats. We aren't saying that your chickens shouldn't free-range - but we do want chicken-lovers to realize that free-ranging chickens are never completely secure. Most land predators will kill chickens at night. Make sure your coop is securely locked by dusk every night, with all of your chickens safely tucked inside. Fences enclosing chickens should be built securely. Fences should be buried at least 6" into the ground to keep predators from digging into the enclosure, and there should also be a top on the enclosure. Hawks and owls will also kill chickens, and raccoons can climb almost any fence, so a top on the enclosure increases the security of your chickens. For free-ranging chickens in urban areas, dogs can be trained to keep predators off the property. A large dog will generally deter a coyote or fox from coming onto your property. For more information on coexisting with coyotes and other native carnivores, and what you can do to take action. 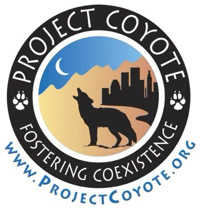 Project Coyote is a national non-profit organization whose mission is to promote compassionate conservation and coexistence between people and wildlife through education, science and advocacy. They seek to change negative attitudes toward coyotes, wolves and other misunderstood predators by replacing ignorance and fear with understanding, respect and appreciation. More information on how to coexist with coyotes, and answers to common questions about them. This handout, created by NWRI, summarizes practical tips for living in harmony with urban coyotes.